I’ve always enjoyed the occasional cup of tea, but I never really understood how people could be as passionate about tea as I was about coffee. That was until I was on a plane to Ireland. The flight attendant was doing the breakfast service and asked if I wanted coffee or tea and on a whim I selected tea. “Would you like cream?” she asked. And though I had never had cream in my tea, I thought what the heck. The tea came in a Styrofoam cup, with cheap half and half and stirred with an ineffectual plastic straw, but it was the best tea I had ever had in my life. I couldn’t believe it. It was rich and flavorful, creamy and comforting, definitely a different experience than the stale bags of Celestial Seasonings that I was use to. My whole world expanded and I finally understood people’s passion for tea. I loved it (almost as much as coffee). I started drinking it more frequently and was very excited when I noticed a tea room, Tea with Thee, opened up near my house. 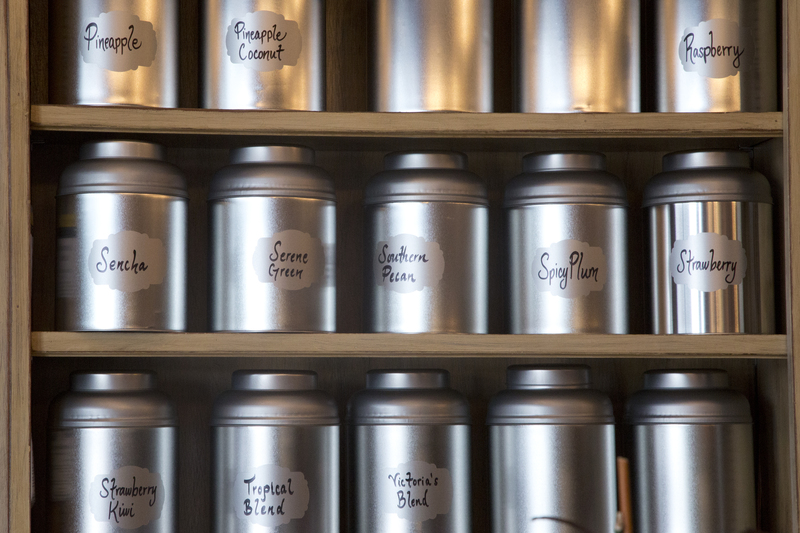 I decided for this week’s post I would write about tea. Owner Vickie Barlowe was absolutely lovely. 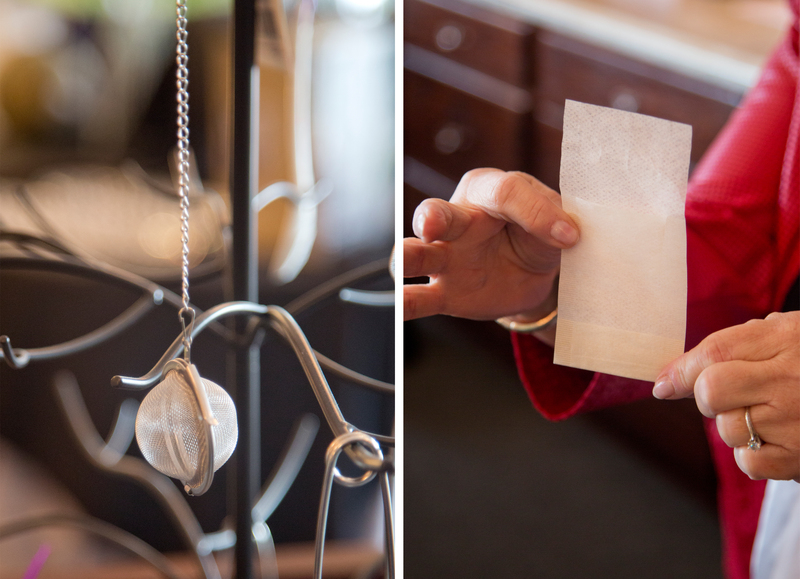 She took the time to teach me about tea and let me photograph her beautiful shop. 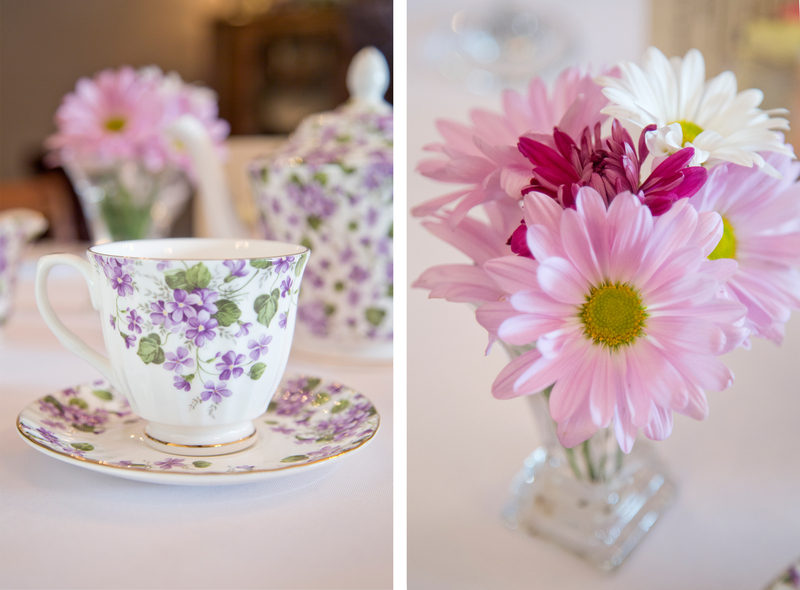 If you live in the North Alabama region you should definitely visit her wonderful tea room. You can also follow her tea room on Facebook no matter where you live. The duration and temperature you brew your tea is very important. It is possible, especially with more delicate teas like green tea, to scourge your tea leaves. It is believed that Chinese Emperor Shen-Nun discovered tea 5000 years ago after tea leaves accidentally blew into boiling water and made a pleasant drink. Tea is the second most popular beverage in the world, after water. White, Yellow, Green, Oolong, Pu-erh, and Black tea all come from the same plant: the Camellia Sinensis. The differences in the tea come from how the leaves are processed. Black tea goes through an oxidation process called fermentation. It is the most popular tea in the United States. Green tea is much less processed than black tea and therefore has more natural antioxidants that help prevent a myriad of diseases. 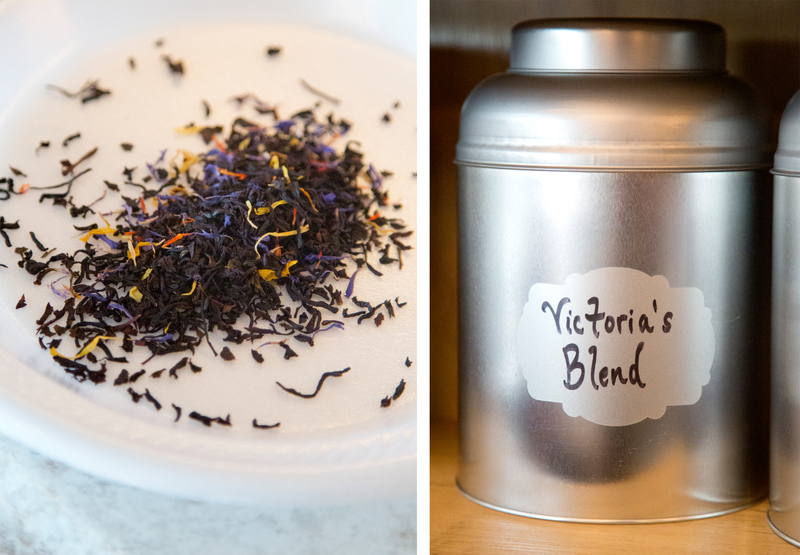 Earl Grey Tea is named after a British Prime Minister from the 1830’s. The United States actually has a tea plantation in Charleston, South Carolina called the Charleston Tea Plantation. The spoon should not touch the cup when you stir your tea. Gently swish the spoon in the tea without clinking against the sides of the cup. 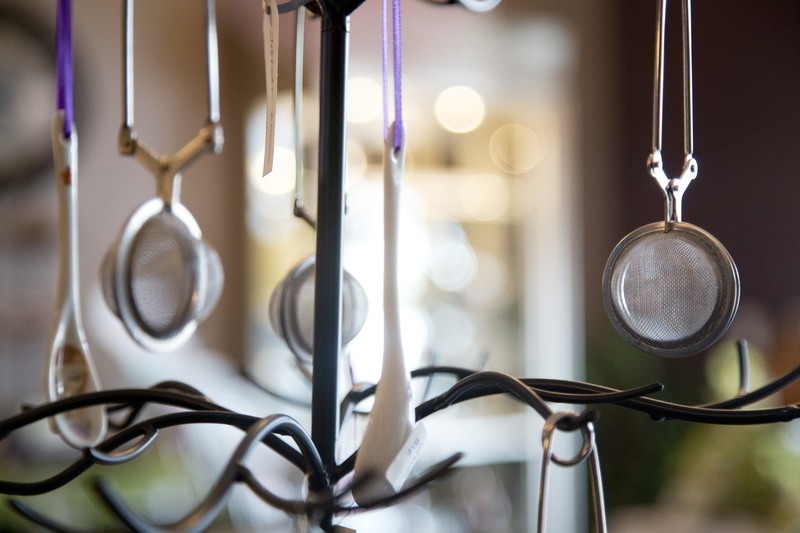 Do not put the spoon in your mouth or drink from the spoon. 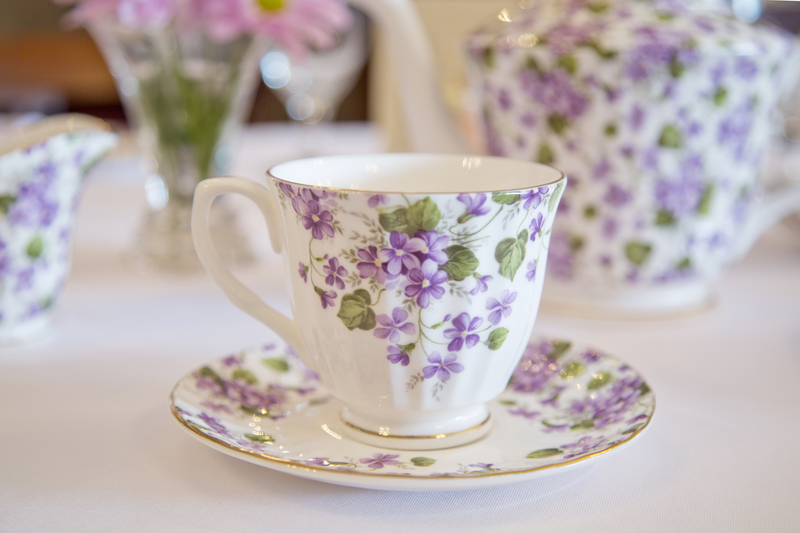 After you have stirred your tea, remove the spoon and place it on the right of the cup on the saucer. If you are sitting at a table, your saucer should always remain on the table. If you are not at a table, hold the saucer below the cup as you drink. 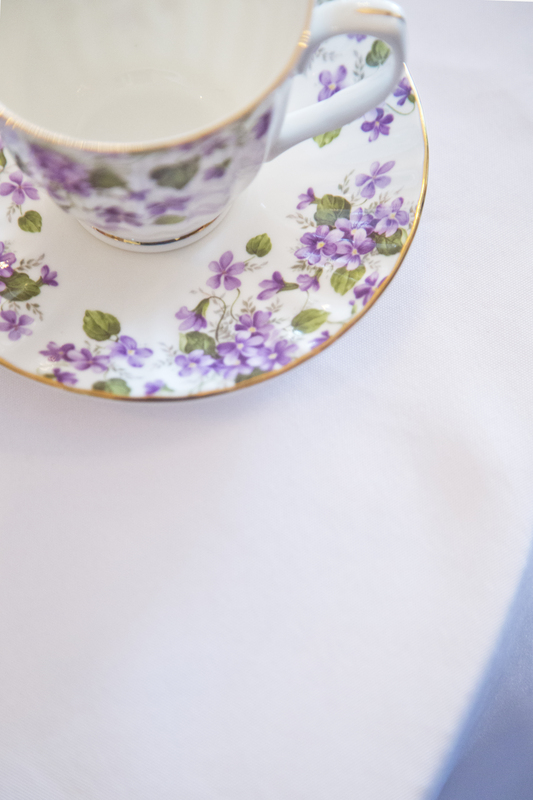 When all guests have arrived to tea, the hostess will signal the beginning of tea by placing the napkin on her lap; guests should follow suit. If you must leave the table mid-tea, place your napkin on the chair not the table. 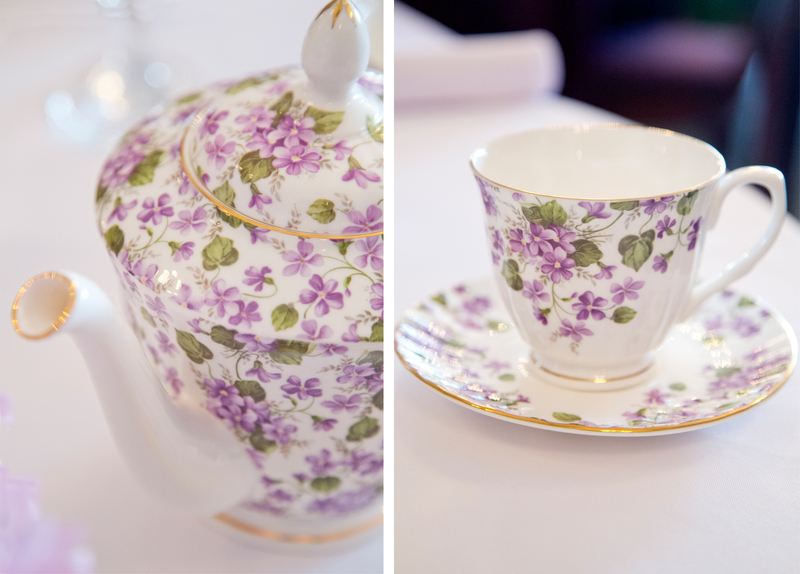 The hostess will signal the end of tea by placing her napkin on the table to the right of the teacup. Eat a scone by breaking small pieces off and covering the bite with a condiment as you go. Scones should be eaten with your fingers and NOT a fork. 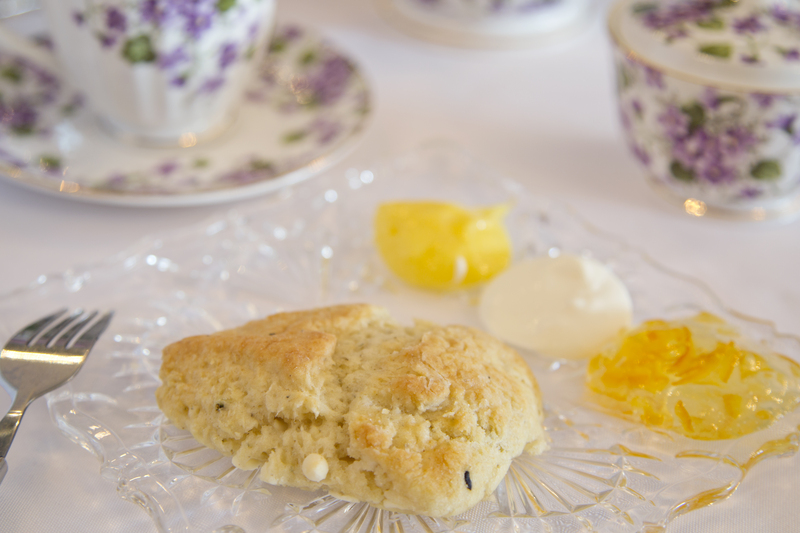 Scones are typically eaten with clotted cream, lemon curd or a jam. Categories: Food Review | Tags: British, dessert, english tea, food blog, formal tea, North Alabama, recipe, recipes, scone etiquette, scones, steeping, tea, tea etiquette, tea facts, tea room, tea steeping times, tea with thee by victoria, thejealouscrumpet, Violet Henri | Permalink. Thank-you! I felt very proper sampling all the teas. I know. It was gorgeous and so delicate. It made you feel elegant just being in its presence. Thank-you! I didn’t know tea was so involved before I started this post. 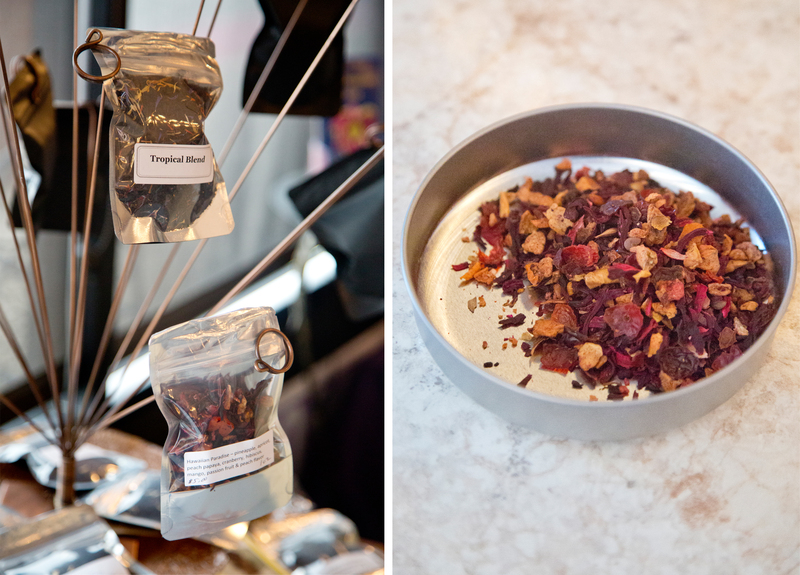 Tea with Thee is a lovely place and one everyone should experience. It is a wonderful place. I really enjoyed going for a visit. All North Alabama folks should give it a try. Oh I LOVE TEA!! I drink tons of it…literally! I am on a lemon ginger kick but I can never resist a good cup of Irish breakfast tea or Lady Grey. We need a good tea shop here. I would go nuts. One day I aspire to get one of those electric tea pots that heats the water to the exact degree you want for whatever kind of tea you have. amazing!